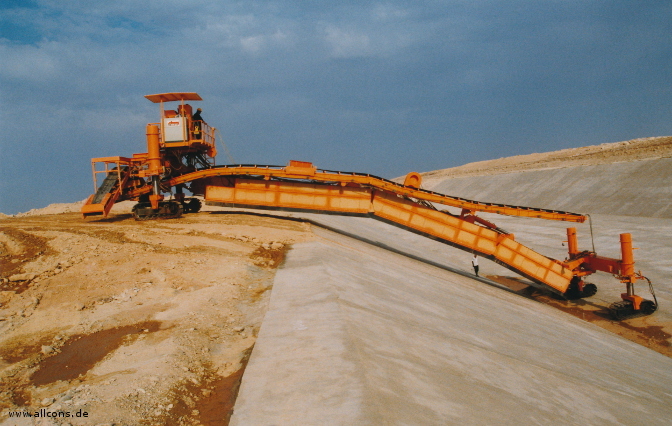 for continuous lining of canal and river beds, up to 180m3/hr concrete with standard feeding system, much higher production rates on request available. 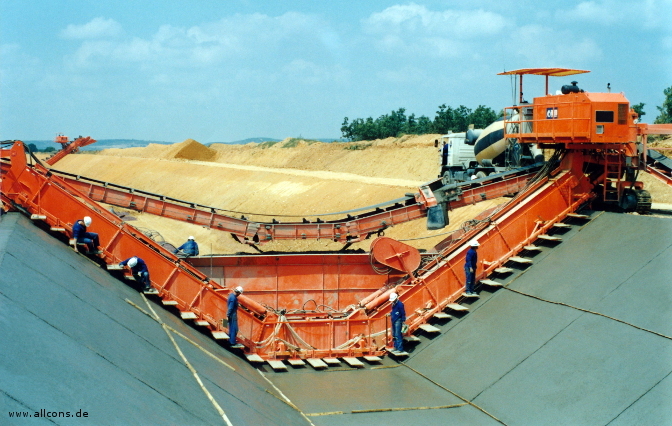 mobile working platform with equipment for finishing and curing the concrete, including a diesel electric generator for decentralized power supply. 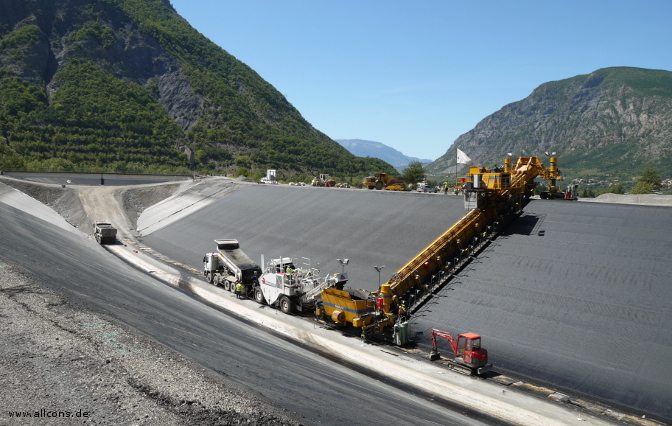 for continuous lining of canals and river beds, up to 450t/hr asphalt with standard feeding system, much higher production rates on request available. 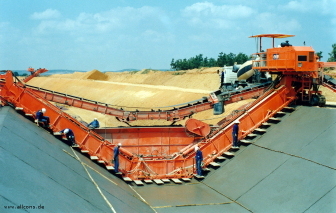 Larger canals can be built by using the half section configuration. 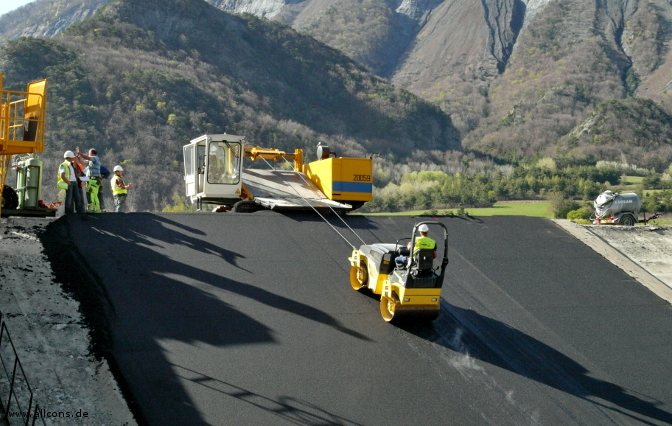 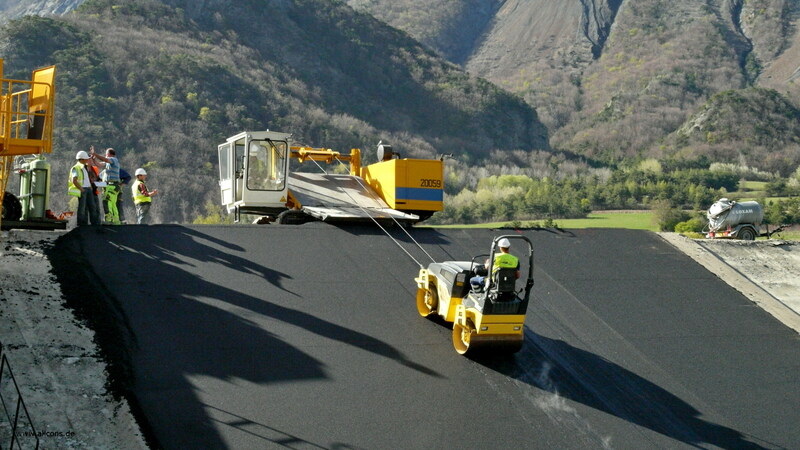 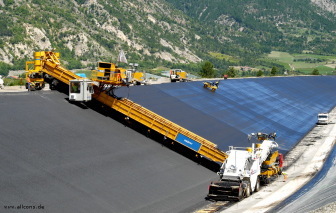 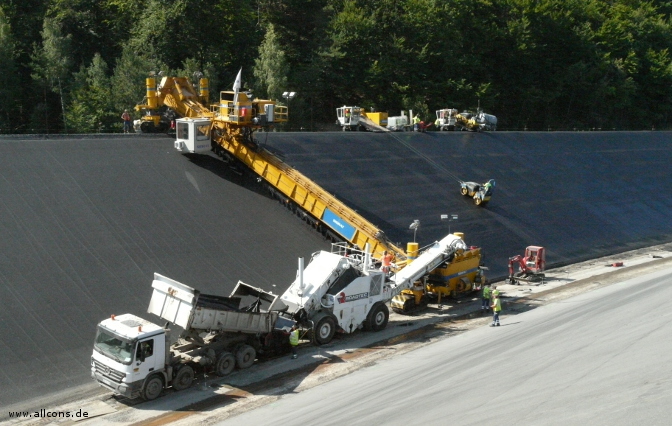 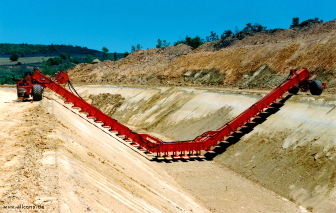 This enables the handling of up to 30m slope length in one pass.